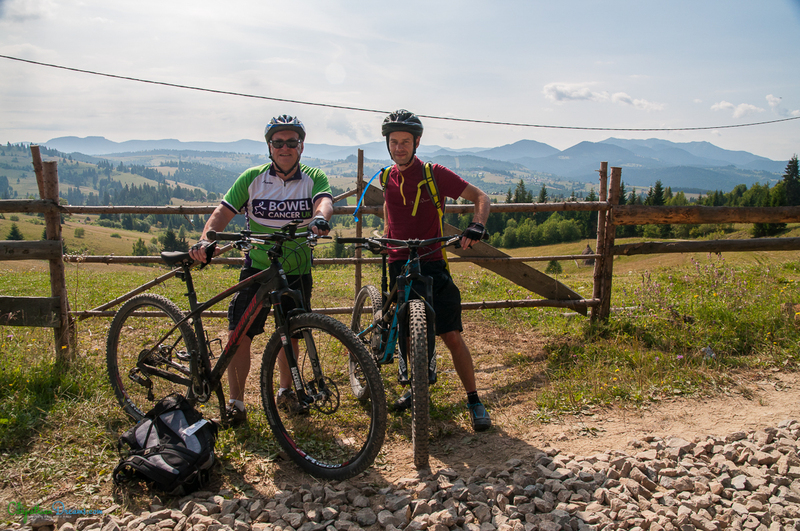 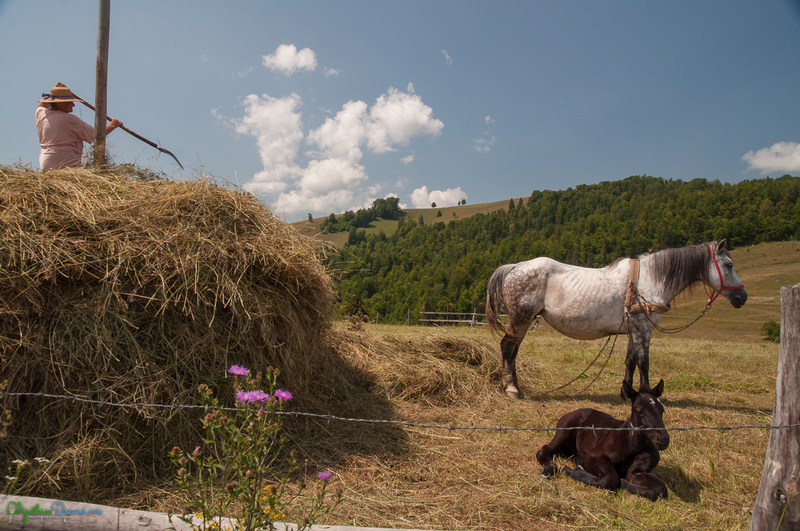 On the end of July we spent three beautiful Summer days in the mountains of Transylvania, together with Mark, our guest. 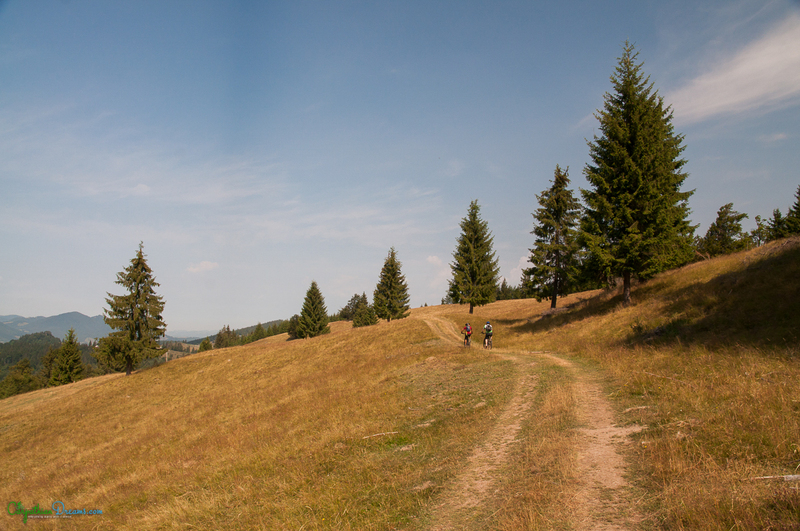 The scenery was fantastic. 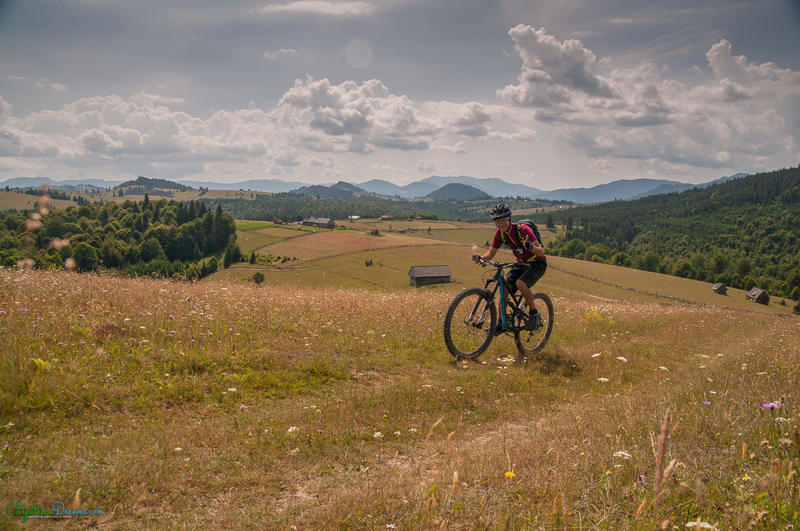 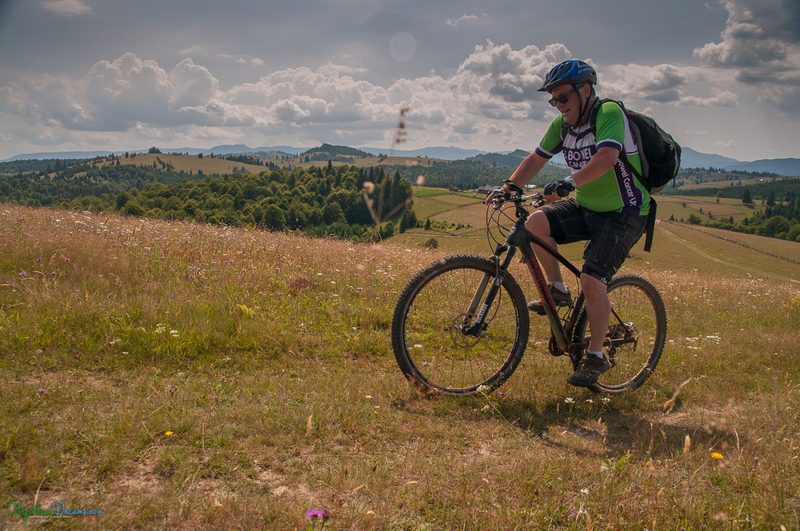 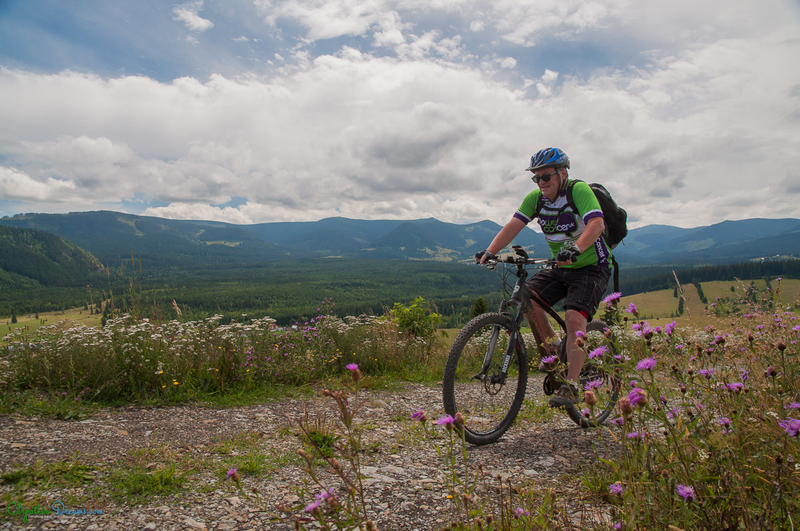 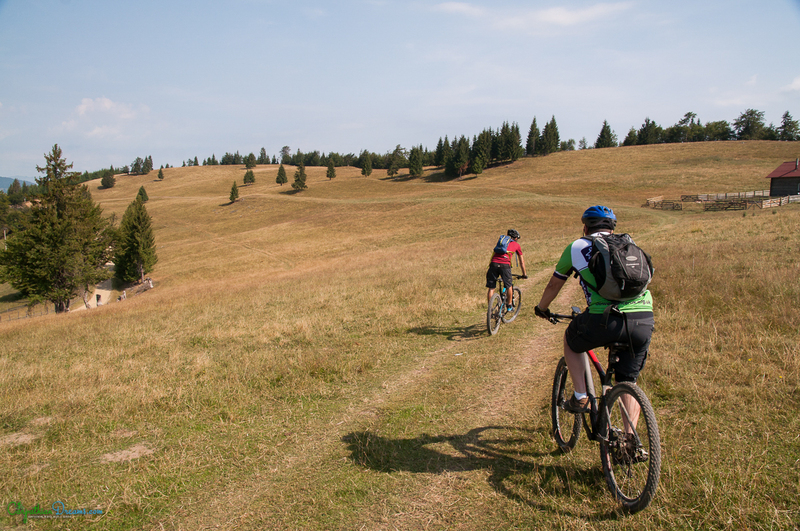 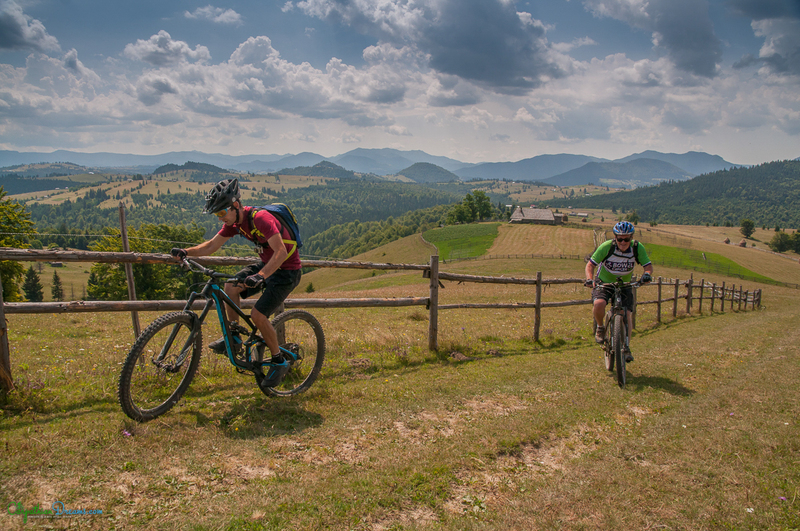 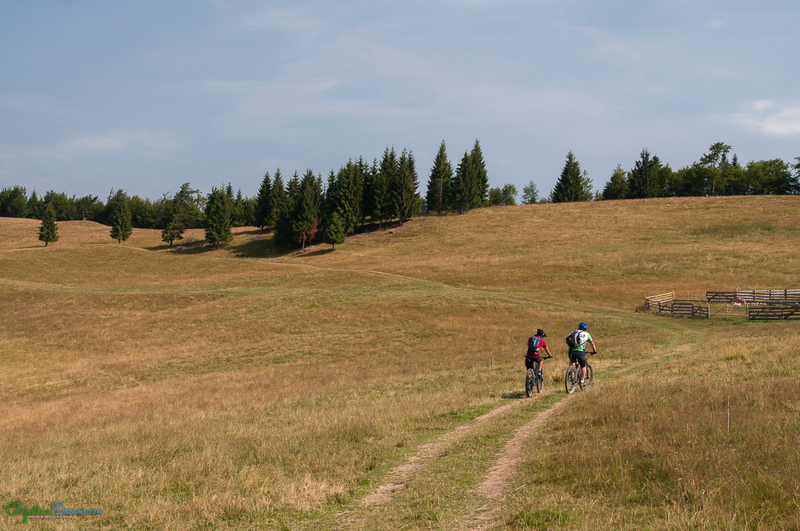 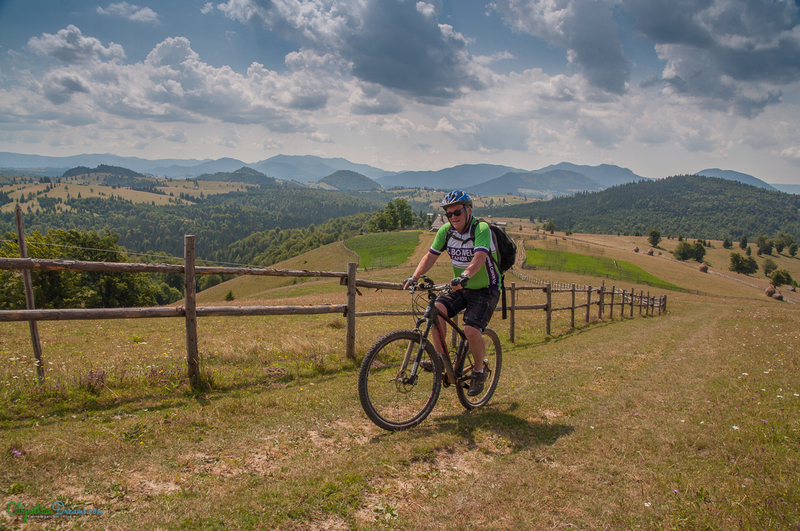 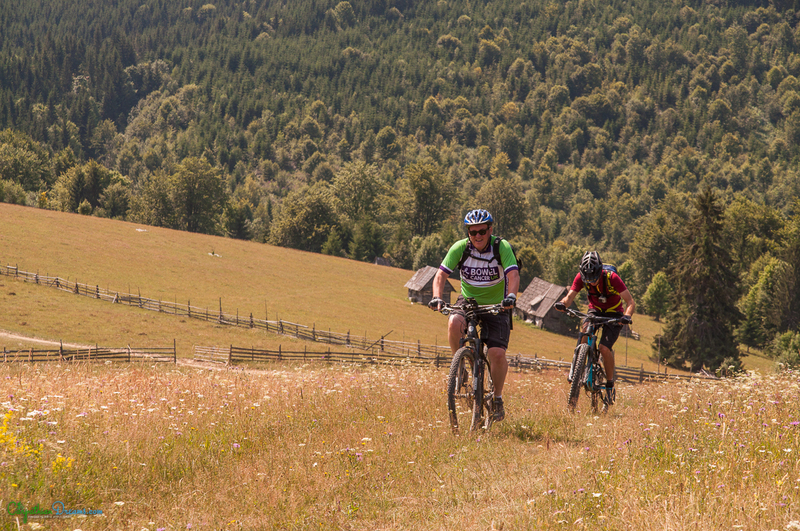 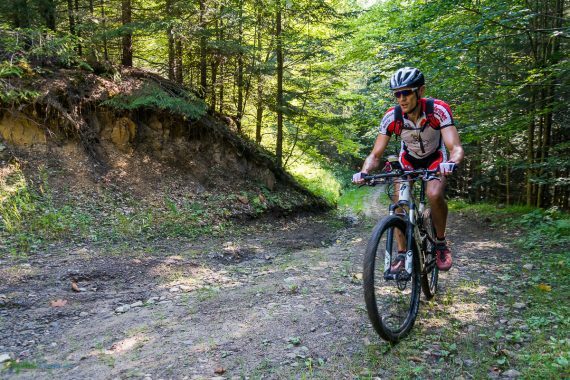 The blooming flowers, the perfect weather, the specific summer work of the local people who were making hay in the fields, the Romanian hospitality, the wild forests and the beautiful landscapes completed these mtb riding days. 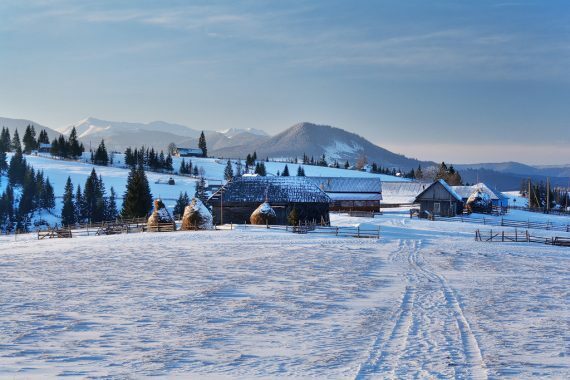 Our headquarter was the Dracula’s Castle Hotel, located in the picturesque Borgo Pass (Tihuta Pass in Romanian) at the border between the two historical regions of Romania – Transylvania and Bucovina. 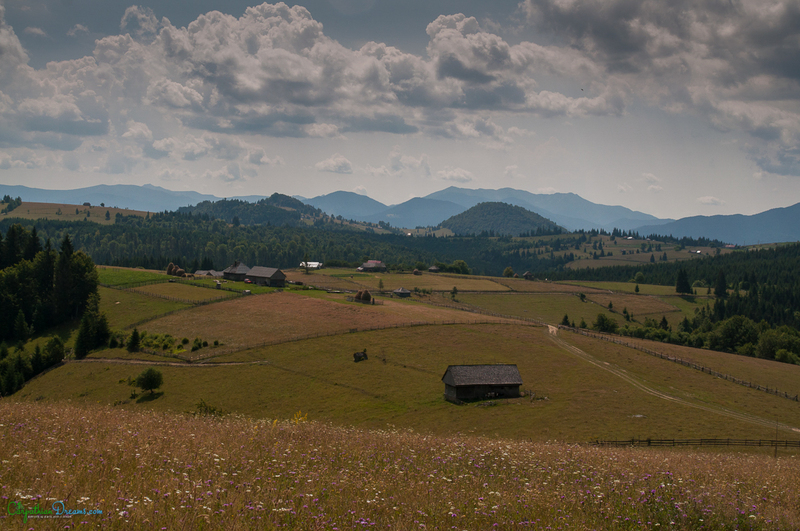 The view from it is pretty nice, offering large perspectives over the Carpathian mountains. 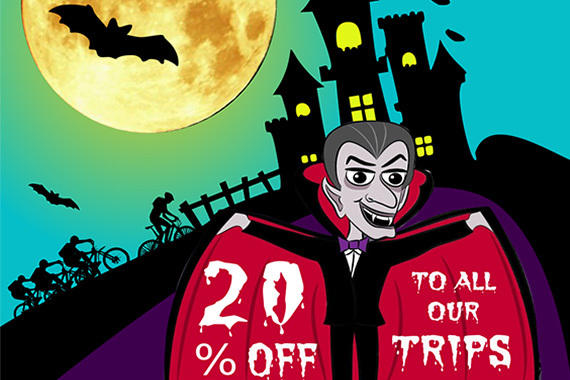 The castle look hotel was built in the late 70s in the place were the action of the Bram Stoker’s novel – Dracula- is taking place. 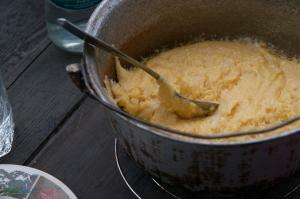 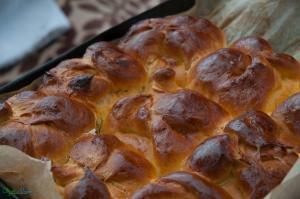 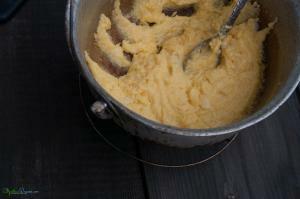 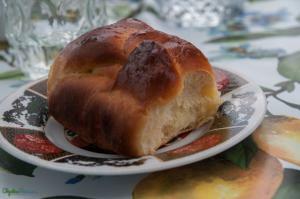 This is one of the main attractions in the region. 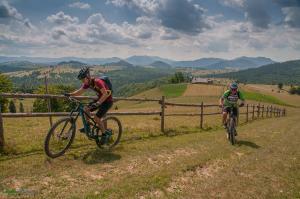 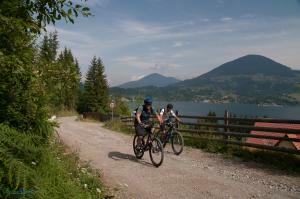 Returning to our mountain bike riding, we did three round trips, from 30 to 60 km. 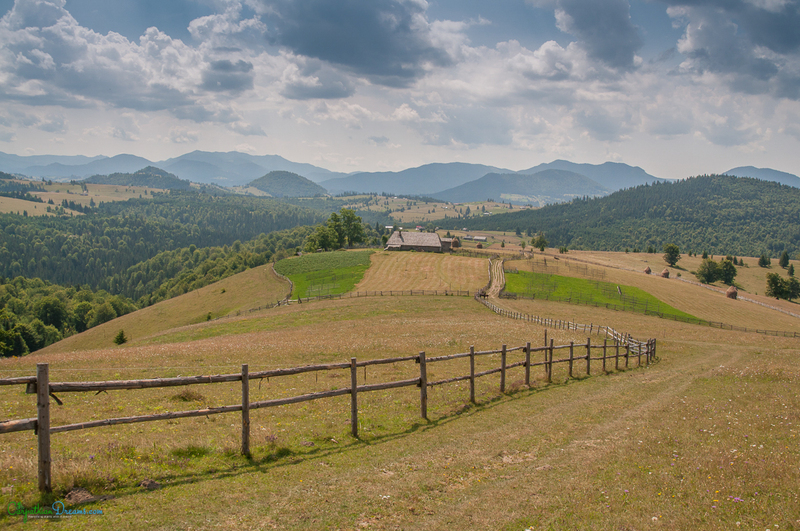 In the first day we explored the inhabited and the archaic Bargau Mountains. 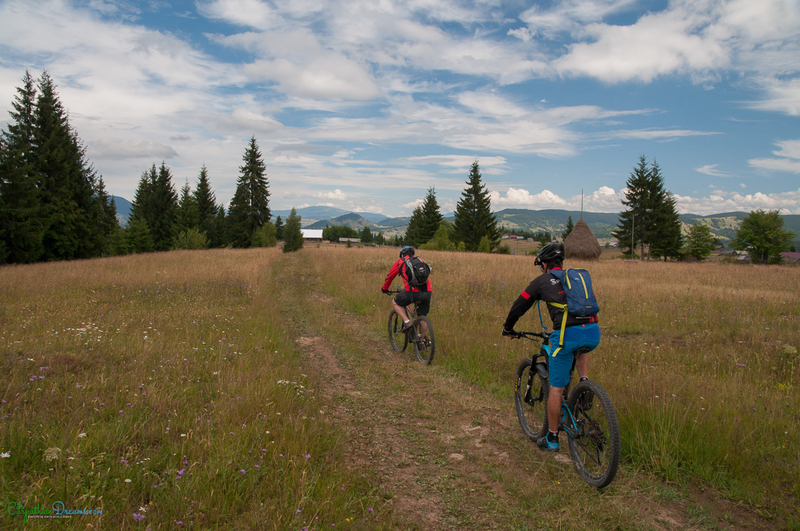 we passed trough beautiful meadows and glades, experienced some of the most remote inhabited places in Romania. 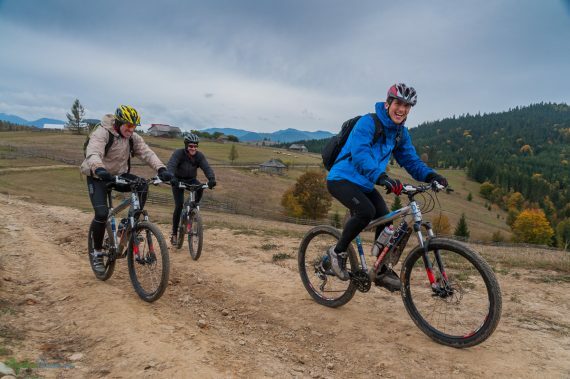 The second day we cycled around the beautiful Colibita valley with its mountain lake, at the foothill of the wild Calimani Mountains, a National Park. 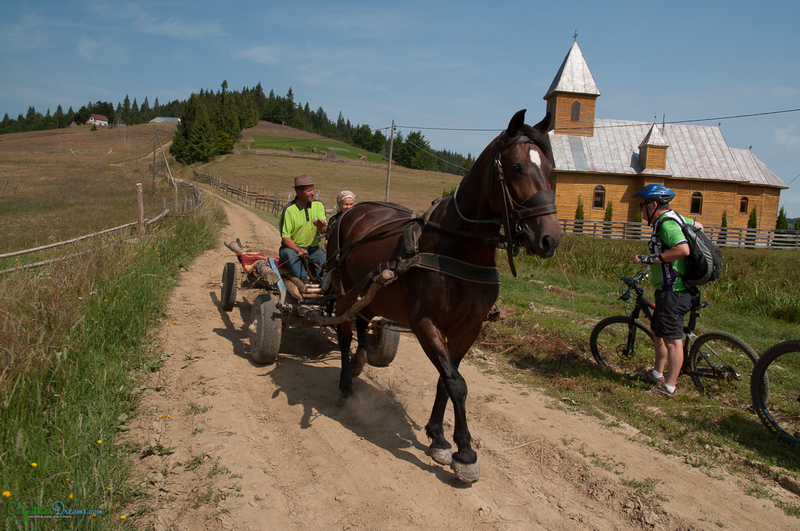 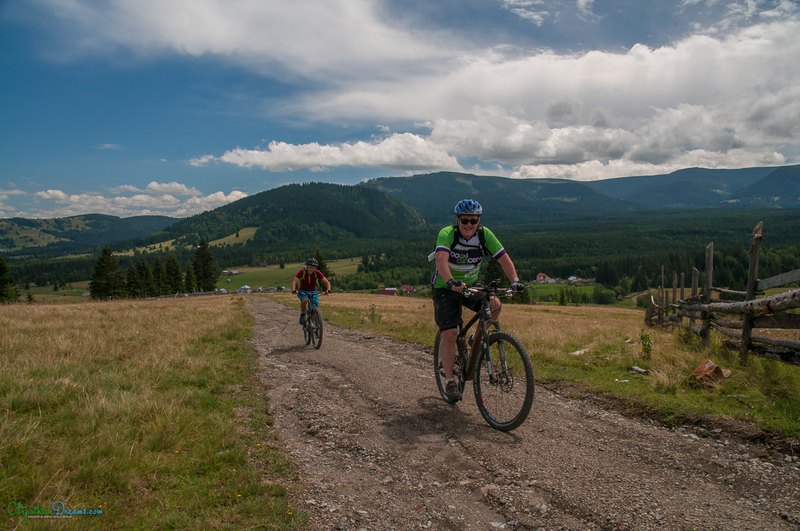 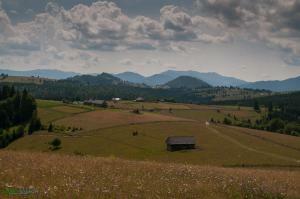 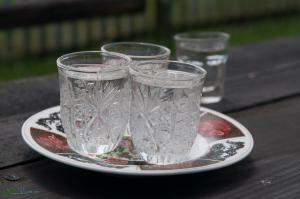 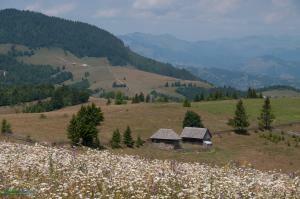 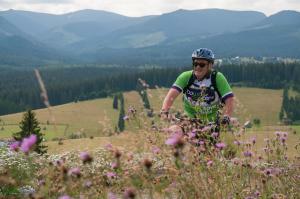 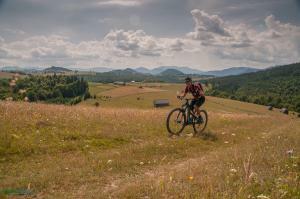 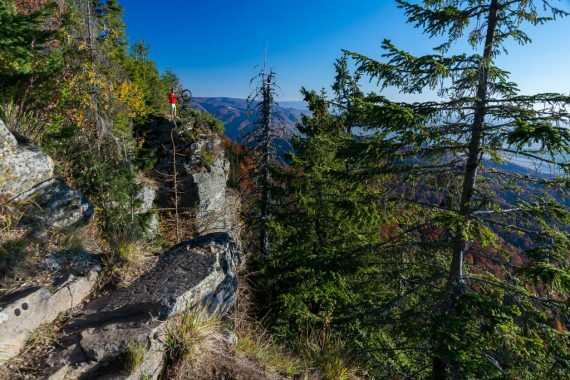 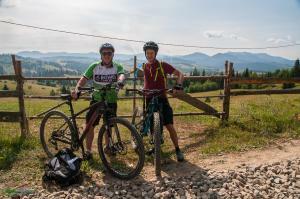 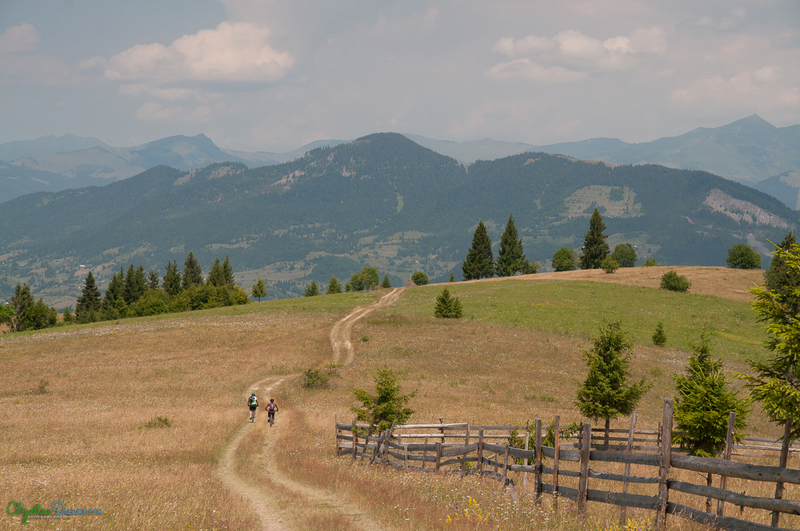 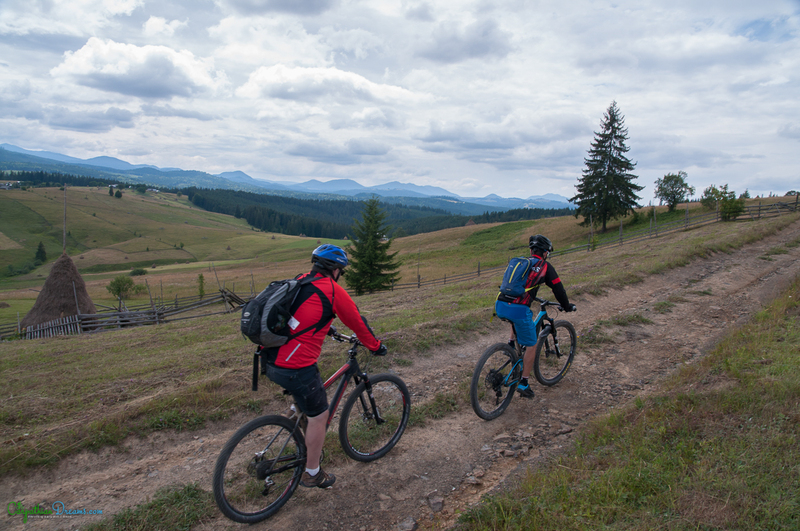 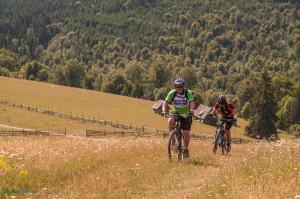 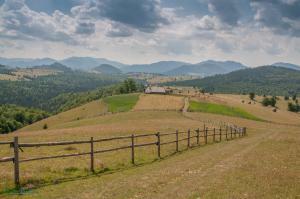 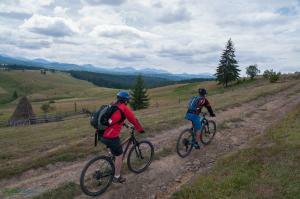 The last day was dedicated to the picturesque and wild Bucovina. One of the best moments of the trip was the lunch taken with a family in a remote hamlet, where we had the chance to taste some of their delicious traditional dishes. 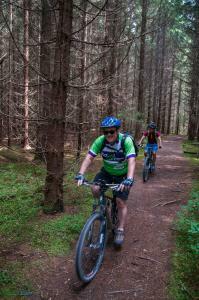 Thank you Mark for your visit! 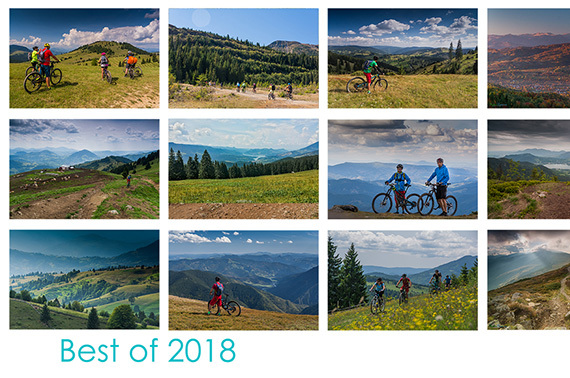 The next post will be with “Los conquistadores de los Carpatos”, a group of dedicated mountain bike riders, who came all the way from the region of Leon, in Spain to conquer the wild Carpathians !